Fellow bloggers, here is an overdue update of my findings from the final winter month of February 2013. 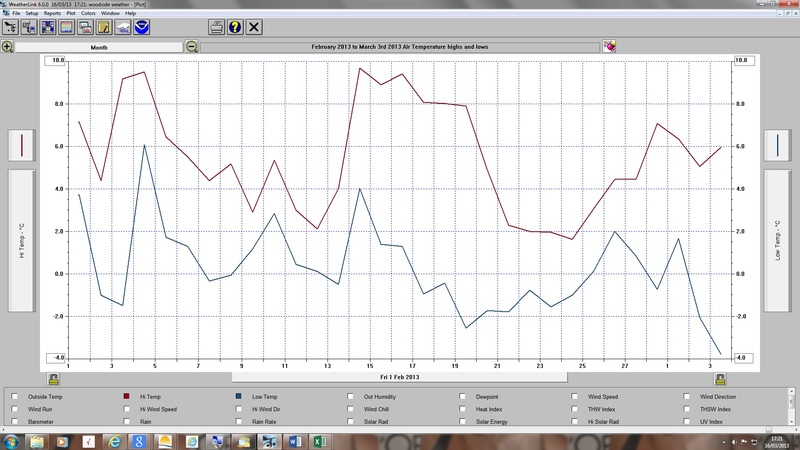 As you can see, at least in my patch, it ended up both on the cold and slightly dry side. When looking back at February 2012 it did not differ that greatly. A Temperature mean of -1.0c below normal was less cold than this time around, which registered -1.8c below the 30 year mean. In fact, the main difference climatically speaking, was the ongoing drought which faced many last February. 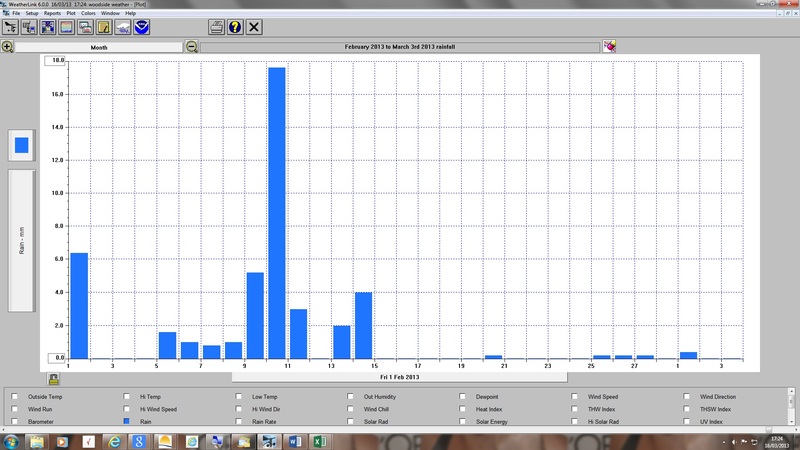 My statistics for February 2012 showed a precipitation deficit of 36.9mm, whereas the deficit this time around was only 11.7mm. Away from the statistics, there were still some stirrings coming from the Natural World. Daffodils were first witnessed in bloom on 7th February, whilst in 2012 it was to be the 2nd January. *It is just possible that this sighting may have been slightly off target, due to your resident blogger suffering from a bout of flu. 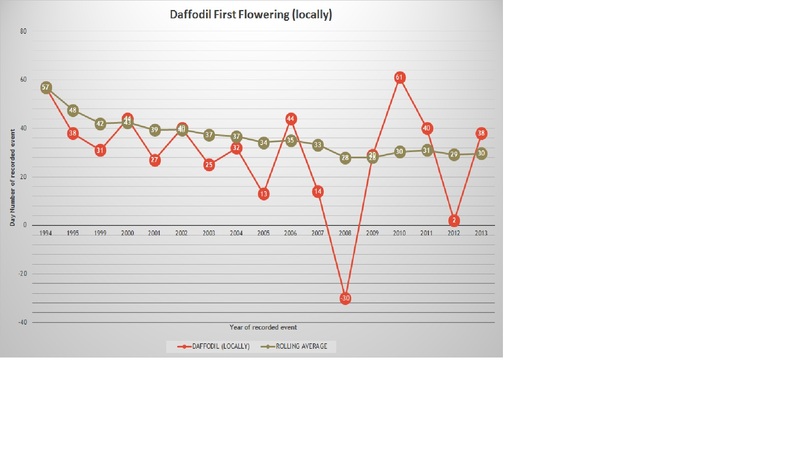 The ongoing trend given off by sightings of first flowering dates for Daffodil is represented below. However, it is the truly wild variant (Narcissus pseudonarcissus) which comes into bloom later and provides us with a more reliable phenological indicator. Next up was my first sighting of a Yellowhammer (Emberiza citrinella) back in its breeding area, coming on the 13th February. This once again provides us with an area of debate, as to how easily you can readily interpret the bird’s return as a correlated to its willingness to breed. Moreover, the data does tend to show a short timeframe between its arrival back in its breeding territory and the more significant activity of the bird’s actual first seasonal song. As before, the ongoing data range is provided below. Just three days later on the 16th February I was to hear a first drumming Woodpecker species. The candidate we are tracking here in the United Kingdom is the Great-Spotted Woodpecker (Dendrocopos major), a personal sound recording of which can be accessed by the following the link below. 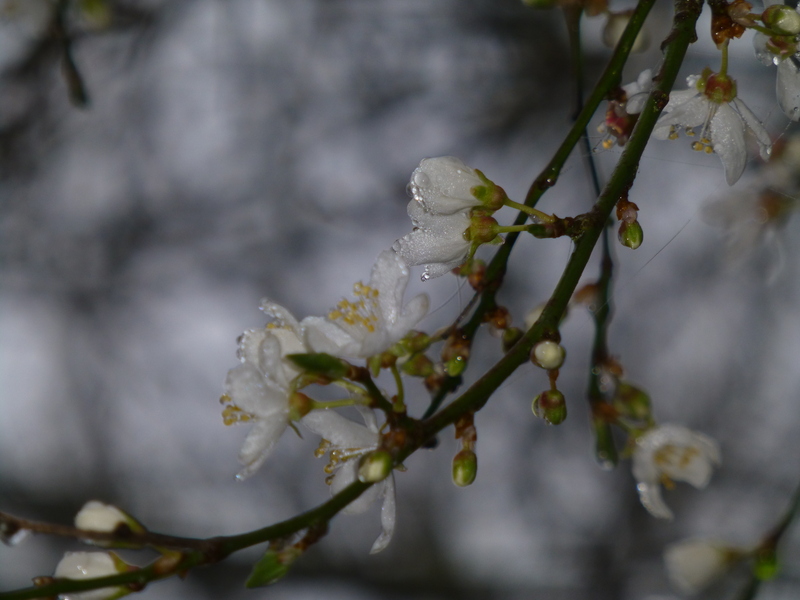 The 17th February went on to produce two phenological firsts by way of locally flowering Blackthorn (Prunus spinosa), a week earlier than last year’s date of the 24th February. 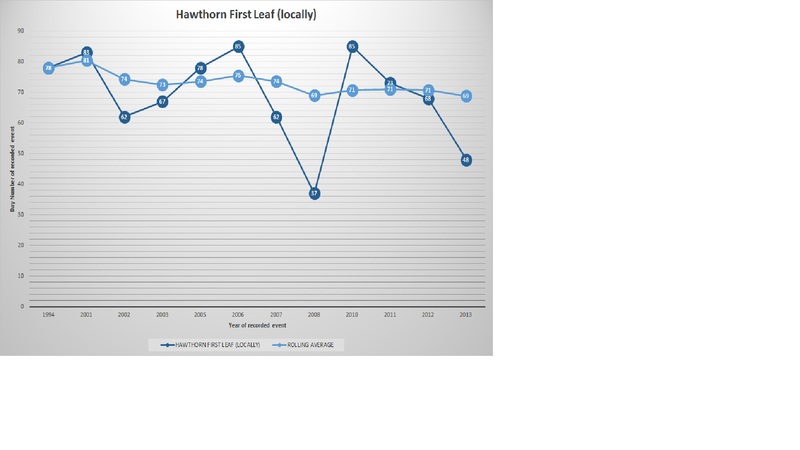 Also, well ahead of 2012 was the first leafing of Hawthorn (Crataegus). 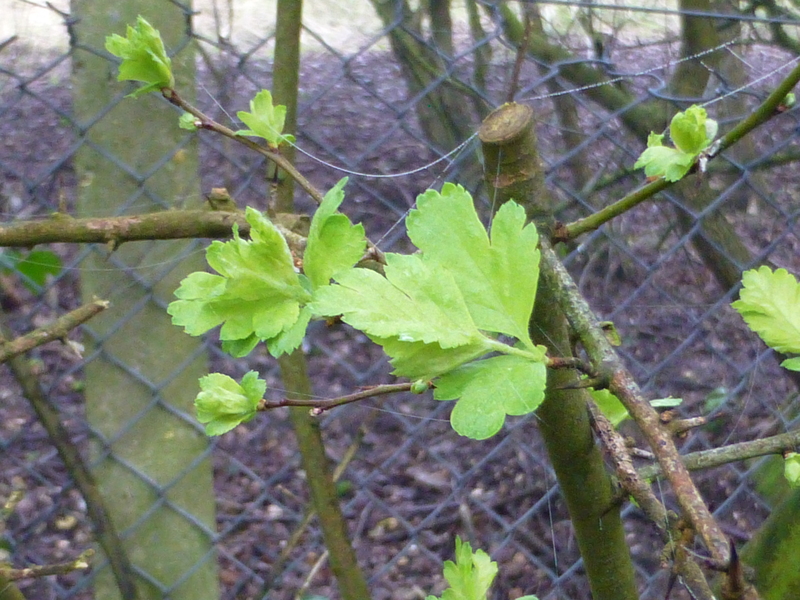 Unbelievably, in spite of a colder February this year and a rather ferocious March which followed, last year’s 5th March confirmation of first leafing of Hawthorn was very late in comparison. For information purposes, you can view the ongoing trend in these two aforementioned phenomena below. As to how nature’s events were to unfold in March, please stay tuned for updates in the near future. Many Thanks. I do try to live life without too many complications and when one needs to reflect, observing Mother Nature is the way to go, all in my humble opinion. Hope you’re feeling better now, was it real ‘flu or the man kind? 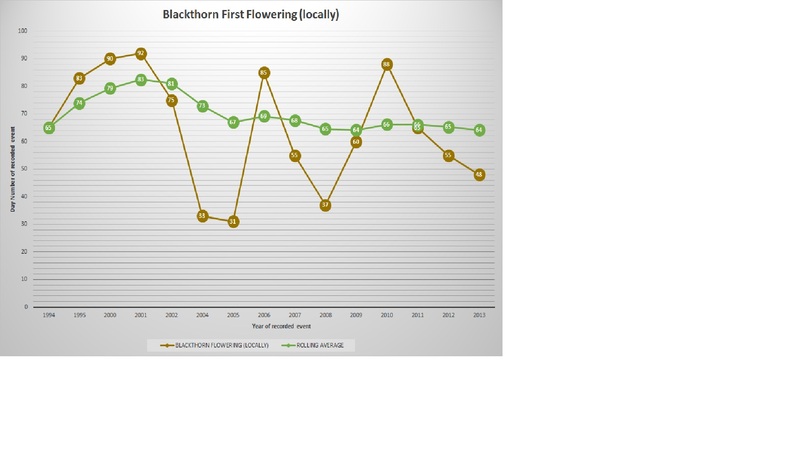 Only joking, does the collation of your data show any kind of pattern or are flowering dates and the like fairly random? Man flu indeed, cough cough! There are patterns developing within the data and I leave it to my readers to interpret them, how they see fit. Anyone can get access to the more recent datasets by following the Google calendar link, should they wish to. Over recent years, many events have largely settled down with regard to earlier emergence dates etc. However, on the whole, you can barely find any events which are going the other way, which occur later in the season. I may not be a genius when it comes to statistics, but I still find the datasets are very revealing. If you haven’t, please have a read of my March Madness posting.